The days of organic reach on social media channels are all but gone. According to social media commentator Ewan Spence, 89% of social network managers now have a 'paid channel' approach in their marketing budget. Organic versus promoted has been a hotly contested and rapidly changing landscape; back in 2012, visibility of social posts from brand pages was sitting at around 16%; this dropped to 6% in 2014, dropped further to around 2% in 2016 and now stands to be even less, depending on the channel. This means that a paid (or boosted post) strategy is now essential for social media marketers, but a mix of organic and publicised posts is still considered best practice. According to Facebook Newsroom, worldwide, there are over 2.01 billion monthly active Facebook users for June 2017 (Facebook MAUs) which is a 17% increase year over year. (Source: Facebook data 7/26/17) What this means (in case you had any lingering doubts), is that statistically, Facebook and other social channels are now too big for brands to ignore. As consumers use social media channels on a daily basis, they will often consider brands, products and services that they have interacted and engaged with when making a purchasing decision. The average time spent per social visit (Snapchat, Instagram and Facebook) is 16-20 minutes, according to Infodocket. This shows digital marketers that they only have a short time period to make their brand impression, so the advice is to use this window of opportunity wisely by boosting relevant, interesting and unique posts and offers in order to make the biggest and best impact for your campaigns. While organic posts can be essential for building and growing an audience, boosted or promotional posts are necessary for reaching new audiences. So, once your budget is set, it is important to understand more about which types of posts should be supported by a paid campaign. Here are the 7 types of social media posts to boost for better engagement. The first type of post that should take part of your marketing budget is the brand awareness post. Each social platform on your radar now provides helpful audience segmentation metrics, campaign running times and budget settings to assist you in your planning; so, use them. Discover more about how your audience behaves on different networks and tailor brand awareness posts to suit the platform, using the data metrics provided post-campaign to shape both your organic and promoted strategy. Your brand should have a consistent ‘personality’ but might take a slightly different approach dependant on what your audience is looking for on a particular social channel. For example, consider the content 500 million LinkedIn users (that come from more than 200 countries) will most likely want to consume. LinkedIn lists more than 10 million active job posts and data on more than 9 million companies, so users to this platform will generally want to see content that focuses on how your brand interacts with the career and job networking space. Facebook brand campaigns on the other hand might be more topical, community-focused and social, and Instagram more visual. The brand awareness message you present needs to take channel behaviour into account and social media managers should plan accordingly. It seems now that almost as soon as channels are created, they are monetised for marketers. The “new kid on the block”, Snapchat now boasts 166 million daily active users, taking 3 billion snaps per day. This platform now definitely provides unique options for you to communicate your value proposition to your client segments via branded content. The adoption rate for Snapchat is very high, and users of this platform are likely to try out new brands and products and to potentially refresh your user base, according to a report by Forbes. Brand awareness on this platform can be done in a unique way by creating custom lenses, geofilters and bespoke advertisements; and by thinking of the user’s intent, traction for social media posts can be garnered. Boosting brand awareness campaigns should be a cornerstone of your strategy; particularly as brand-centric posts often get less organic visibility when starting out. It’s important to schedule social media posts that are timely for your website or company. What parts of the year are most important for your customers? Are there certain days or events that are essential to your calendar? These can be posts that you will want to boost online via a paid campaign, to ensure your messaging reaches the largest number of users you can afford, particularly at peak seasonal times, and by using audience segmentation metrics. If your brand or associated product/website also appears in mainstream media, this can be another opportunity for amplification. Seize the day – if something newsworthy has happened to you, let people know about it. 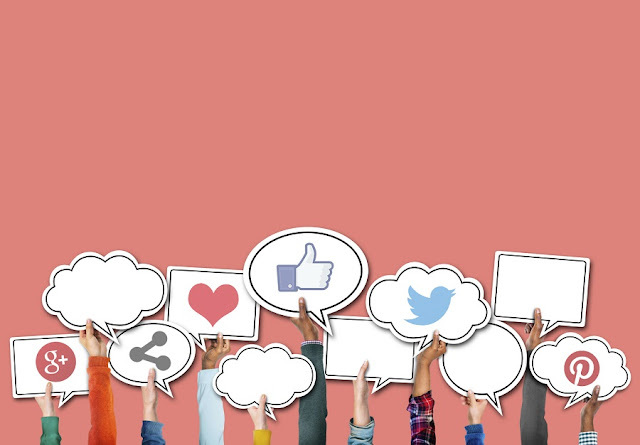 It’s important to understand how timely social media content affects customer experience. Today, more people get their news from social media than from traditional journalistic news channels. According to some reports, more than 6 out of 10 Americans now get their breaking news from platforms like Facebook, per a 2016 survey by Pew Research Center. Whether this is a good or bad thing is very much up for discussion, but for digital marketers the lesson remains that people now use social media as their go-to for news. Think of how your brand is viewed from a commercial news and PR standpoint, and build this from your social channels. Tools like CoSchedule allow managers to manage their brand’s reach across multiple platforms, coordinating a coherent message across a particular timeframe. Make your brand or product part of the news, not just a brand message alongside your customers’ social feeds. Look at platforms like Reddit as an element of your social planning. Although not a strictly commercial site, 7 in 10 Reddit users get their news on the platform, while news also plays a varying role across other more mainstream channels. For example, two-thirds of Facebook users (66%) get news on the site, and nearly 6 in 10 Twitter users (59%) get news on Twitter. Consider what content you have that translates well to newsworthy posts; what trends and breakthroughs are happening in your industry and how does your brand play alongside this news? Content that is timely and newsworthy is another type of post to boost across social media, then potentially these posts can gain extra traction organically. Influencer posts are terrific content to choose to amplify across social platforms because they have another element to them as opposed to a straight ad, and have the added bonus of providing quality content for your audience/s that is engaging, timely and bespoke. It’s the old “money can’t buy” adage. In fact, some platforms are making it even easier for influencer campaigns to reach audiences. Only a few weeks ago, Facebook rolled out a new way for brands to take the posts that they pay publishers and influencers to create, and promote them as ads on the social network. Publishers and influencers can now tag posts and reviews as ‘branded’ using Facebook’s labelling system, in short, it is getting easier for those who champion (and use) brands and products to make this information known via formal campaigns, that still have the feel and authenticity of organic content. “Once a brand has selected a post it wants to promote,” says Marketing Land, “it can use all the normal options to target the ad, including Custom Audiences to aim the ad at a brand’s existing customers or people who share similar characteristics.” If you’re not already, consider amplifying influencer posts as part of your social media strategy. According to recent statistics, “People remember 80% of what they see and do, compared with just 20% of what they read.” Within your content strategy, you need to factor in as much special/comprehensive content (including infographics and visual data surveys) as you can. For some brands, this might be several times a month, other brands might only manage a special content piece every quarter. If you’ve gone to a lot of time and effort to make something, you need to ensure this reaches your audience and beyond, so it goes without saying that this is content you definitely need to factor into your paid/boosted social calendar. Infographics can create engagement and are very effective methods to build backlinks, if you engage your audiences via social. “Encouraging your audience to share your infographics on their social media accounts, can on occasion provide a link back to your website,” according to NNC Services. “The more backlinks you share, the more visits will come to your site, receiving a higher ranking on the search engines.” Social posts can help your unique content be discovered, and then picked up for republishing and infographics have less chance of being penalised as duplicate content, so long as they are attributed. Infographics have an increased opportunity to go viral when compared with a regular post or blog/article content. This means that creating infographics can be a great way for brands to build awareness, to promote data and statistics and to iterate complex concepts in a visual and engaging way. Consider using infographics as part of your digital social strategy and choose to boost these via social campaigns to get the traction going. Check out this post on how to use Facebook posts to boost your infographic as a starting point. Is there something that only your brand can do? Is there something that you do much better than your competitors? Is there a time of the year when your brand needs to be most visible and gain more traction, followers and conversions? Then let your audience know this via boosted social posts. Alongside your organic posts, you need to seed out content that is unique to your brand, in a fresh, valuable, audience-friendly way. If you’ve done an expert blog post, opened up a new portal on your website, created a new app or made improvements to your site, this is all great content to boost across social. Unique content can be amplified further via a boosted campaign. Adweek points out that brands often get lambasted when their branded posts miss the mark on social channel campaigns, but they point out that every year we see excellent examples of brands making their mark via exceptional, well executed social campaigns. A past example of this was Oreo, that created fresh, relevant content for its social sites during Halloween, when Oreo created a Vine video series spoofing classic horror films. Consider your audiences and how they relate to your brand’s unique promise/s. Can you create a community around a topic or timely event? When you have a unique opportunity that will make you stand out against your competitors, then content relevant to this can be boosted across social as part of your strategy. Don’t know what makes your brand or product unique? Do some research online by checking out articles like this one that details how to create a “buzz” about your brand. With its 700 million monthly active users as of mid-2017, Instagram’s campaign tool has a built in feature that prompts you when an organic (no spend) post is gaining better-than-average traction and will suggest it as a potential promotion. These posts are already receiving extended reach on your feed, so furthering their visibility by boosting them via a paid campaign is a solid marketing practice. In theory, a successful organic post is showing you what your audience likes, and potentially what they want to see more of, so it makes sense to capitalize on this in your social strategy and to use it to reach new and varied audiences. Seize on current traction as part of this strategy. Just because a post is performing well on its own doesn’t mean that it can’t benefit from a boosted or promoted campaign behind it. This might allow it to reach new audiences, at a different time of the day, on a different device or even on other platforms. For example, if you have created a blog post/article on LinkedIn that has gone viral (and this happens) then consider how this could be repurposed for other platforms, and how the messaging can be tweaked for a promoted campaign. Research has shown that most social media posts only get seen by a small percentage of your followers, we all know this now. This has frustrated digital managers to the point of needing to create new tools to allow content to be re-shared. Tweetify.us is a new system that connects to a blog or website to re-share posts and articles time and time again. The theory is, by ‘recycling’ content, your followers grow every day, and your brand enjoys more engagement. Remember, just because you can’t nail down a once-and-for-all formula for social media marketing success doesn’t mean you should give up on it. Social media is not a hard science, but more of a dark art, where scientific data and principles can be employed to improve traction over time. Posts do get “lost in the mix” and often you need more than just intuition to be a good indicator of which posts to pick up for re-amplification. If you feel that some of your posts are being lost in the mix, a paid promotional campaign will answer your questions in a way that provides valuable data. If the post is still not performing under a paid campaign, then (and only then) can you decide to tweak the messaging, or move on to something new. Harnessing the power of social media marketing is essential for brands and individuals to make the most of the significant time and effort they pour into their strategy. Keeping across current trends and statistics is also essential, as platforms are changing month-on-month as they introduce algorithm changes and marketing products. Getting the mix right will take plenty of post-campaign assessment, as well as trial and error. Brands shift and change and so should your paid versus organic social strategy. Thinking carefully about how to select which posts to boost across social media is a cornerstone of your content and social strategy. Not every post can be amplified and organic traction can and does still happen. Consistency, awesome community management and ‘low barrier to engage’ posts can be a great way to entrench company pages that have a solid organic performance. However, boosted and promoted posts are now the reality for social media marketing strategies. Learning how to correctly assign your budget across social platforms is the first step to growing an engaged audience and harnessing the power of your brand’s reach. Yvette McKenzie is Content Marketing Specialist at online educator Upskilled. She is passionate about social media and content marketing, new technologies and the ever-changing digital marketing landscape.